Dhaka, 4 May, Abnews: Bangladesh’s Test and Twenty20 International skipper Shakib Al Hasan believes that going upwards in the ICC Test ranking is more rewarding than their recent success in One-Day Internationals. Shakib, who returned to Dhaka on a short trip from India where he is participating in the Indian Premier League for the Sunrisers Hyderabad, hailed the progress of his side in Tests as they moved to eighth spot for the first time. “‘I think it [reaching the eighth spot] can certainly be considered as our biggest achievement so far,” Shakib said on Thursday (May 3). “I think it certainly carries more weight than reaching sixth or seventh place in ODIs because we were not good at playing Test cricket, let alone performing well consistently,” he said. “Our going upwards in the ranking only suggests that we are learning to perform consistently. Doing well consistently in Tests is quite a hard job. Our struggle and hardships are indicated by the time frame that we needed to reach eighth place in the ICC Test ranking. It is a huge accomplishment for us as we have eventually started to move forward in the longer format,” he added. After the annual update, Bangladesh are placed above West Indies in the ICC Test rankings with 75 rating points, which was their biggest achievement since they gained Full Member status back in 2000. They have won three of their 18 Tests, drawn five and lost 10 since the start of 2015, while their closest rivals West Indies have played in 28 Tests in the same time-frame, lost 18 matches, winning five and drawing five. Bangladesh’s improvement in Tests can be hailed as a big step forward as far as developing the foundation of becoming a force to reckon with as a cricketing nation given that they were even struggling to come into terms with Tests not long ago. Bangladesh have stretched their overall Test-win tally now to ten, including one each against England, Sri Lanka and Australia, with nine draws, with their ranking significantly rising in the last five years, with their wins and draws collectively outnumbering their 15 defeats. Shakib is expected to lead Bangladesh in the upcoming West Indies tour after missing out on the two-match Test series against Sri Lanka after suffering an injury to a finger during the tri-nation ODI series final against Sri Lanka at the Sher-e-Bangla National Cricket Stadium in Dhaka. 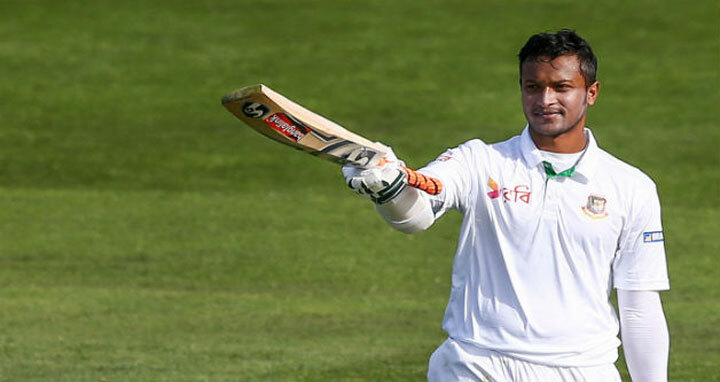 Shakib, who is yet to feature in a Test since the beginning of his second stint as Test skipper, feels that a change in mindset and approach also played a significant part in their recent success in Test cricket.